Imagine a world populated by stylish girls, adorable animals, piles of fashionable clothes, and plenty of make-up…You’re right, I’m talking about all those funny games that most of the girls used to play back in the golden days of childhood! Now you have the chance to reunite with old friends featured in famous series, such as the Bratz, Hannah Montana, My Scene or Polly Pocket! 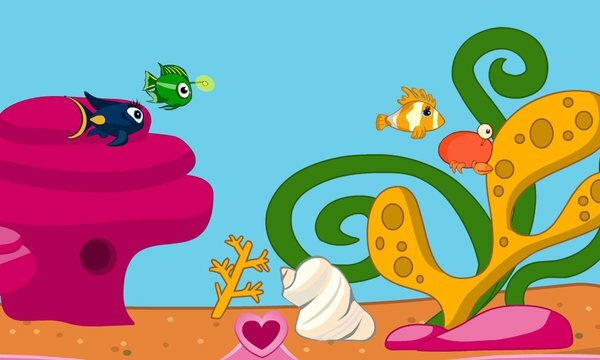 From dress up games to thrilling adventures, these games truly recapture the magic of childhood. 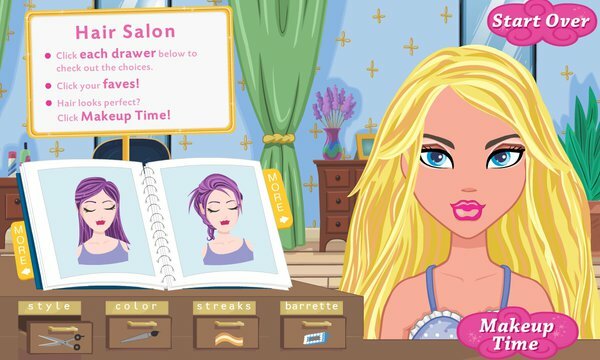 Read on for a list of the best nostalgic games for girls that you can still play online! Remember the days of your childhood, when the internet was still a novelty? Children and adults alike were exploring this new universe of entertainment possibilities with great curiosity. Naturally, the young ones discovered Flash games, and from that point, there was no turning back. All 90’s children have spent a significant portion of their early days glued to the keyboard, discovering and enjoying exciting online games every day. An entire generation was hooked! Where are these games now? Join me on a walk down memory lane! Rediscover your passion for fashion! Whether you are six, sixteen, or sixty, it can be quite thrilling to unleash your inner stylist! Especially if this means that you get to make fashion choices for characters from beloved childhood TV series. What is more, these games can really encourage you to discover new clothing styles and even become more creative with your personal wardrobe. If you feel the need for a bit of retro inspiration, London’s Suite Styler game might be exactly what you need! The ditzy, yet very fashionable friend from The Suite Life of Zack & Cody is ready to give you some cool fashion advice! Just make sure that you don’t take it too seriously! Playing these games is also an excellent opportunity to have a laugh at the crazy fashion fads of the 2000s. Remember the low rise jeans and body glitter? It can be quite fun to think about how trends have changed over the years. For instance, you will surely enjoy the My Scene Shopping Spree game! Charming Kennedy, spunky Madison, fashionable Chelsea, and the other girls are more than glad to let you pick out their outfits! The options are quite glamorous and over the top, like sequined dresses and even colored feather boas. However, the best aspect of the game is that you also get to dress up the girls’ partners! So choose your handsome date and make sure his outfit matches yours! Create new, stylish looks with the Bratz Makeover game! 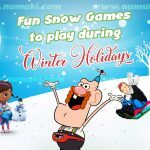 Join your favorite characters in an exciting make-up game that will let your imagination run wild! 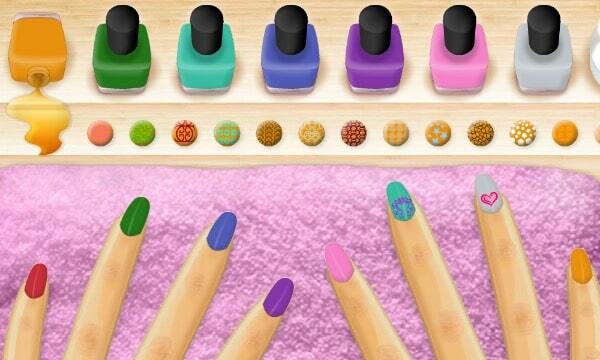 Or you can just take your brushes, grab some jewels and start being creative in My Scene Beauty Studio Game! Visit the salon with your favorite characters! A visit to the salon with your best friends can be the best way to relax! Choosing a fresh new ‘do and putting on some make-up can be everything that a girl needs! Don’t have enough time for a real beauty splurge at the moment? Your old childhood friends are always here for you! They will take you to the most luxurious beauty salons, so go ahead and enjoy a fun day out with these absolutely fabulous ladies! 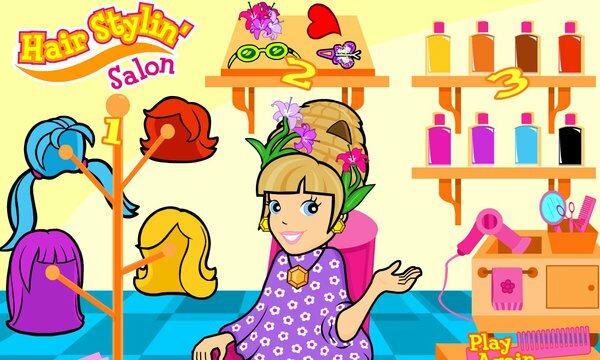 For instance, your favorite blonde sweetheart is waiting for you in Polly’s Hair Stylin’ Salon game! You will surely enjoy the fun, kooky hairstyles! If you are a big fan of Polly Pocket, here are a few more popular games you might want to play. 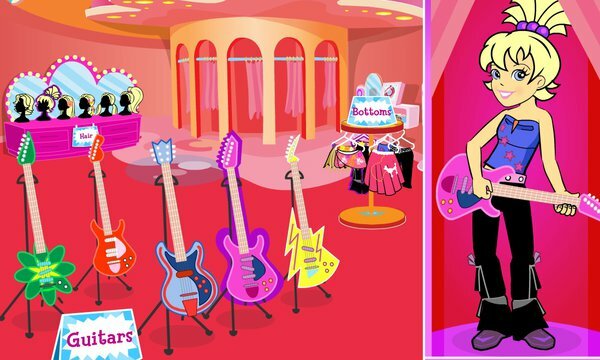 For instance, you can become a personal stylist in Polly’s Rockstar Makeover! Help Polly and her band pick out their outfits, accessories and even the stage! Or you can enjoy a day of fun and fashion with Polly’s Wacky Wardrobe game! Help this intriguing machine put together the perfect outfit, complete with accessories! Let’s not forget about Polly’s Drive ‘n Style game too! Help Polly and her friends, Shani and Lila, get ready on the go ! Can you think of anything more girly than getting a manicure? All young girls dream of being pampered and choosing a cool design to compliment their personality and personal style. Therefore, painting your nails is the ultimate activity for any sleepover. There was a time when the trends in nail art were entirely off the charts! Remember all the rhinestones, crazy patterns and extremely long and impractical styles! Now you get to try them out without breaking the bank or making a fool of yourself with these nostalgic games for girls! 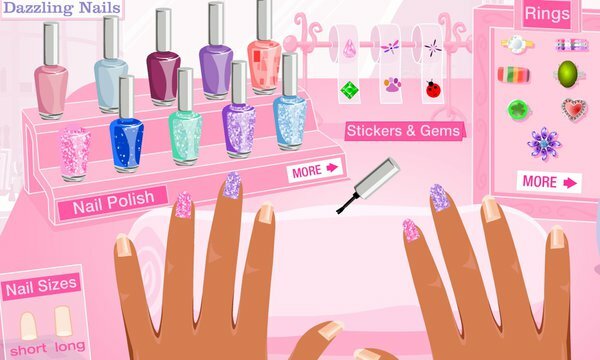 Join Nolee, Madison, Chelsea, and the rest of the My Scene crew in the Dazzling Nails game. What is more, you can even print out the final design and get a matching set on your next appointment! Are you ready to revive some old trends? Or if you’re one of the Hannah Montana fans, Miley’s Malibu Manicure still rocks! 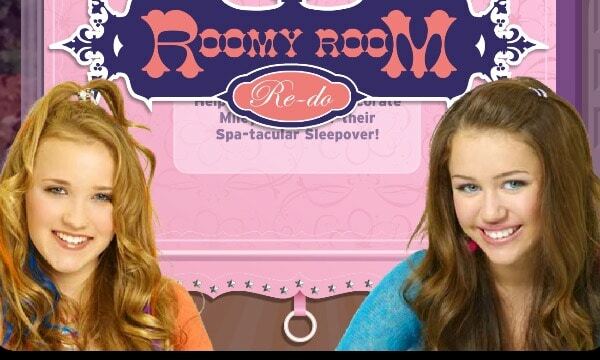 Play the game and help Miley and Lilly get a perfect manicure for their slumber party! They can’t have a party without a manicure, right? Let’s not forget about another classic in the world of nostalgic games for girls – decorating games! Every little girl has a fantasy about the design of her bedroom. These games have surely allowed our creativity to run wild! Meet up with your favorite outgoing blonde, Polly Pocket, and help her decorate in Polly’s Beautiful Bedroom game. If you prefer something a little more grown up, you can always join some spunky teenagers on their very own take on interior design with the My Scene Room Makeover. You can even set up the perfect ambiance for a party! Also, let’s remember the time spent with Miley And Lilly while preparing the room for those spectacular sleepover parties. Decorate Miley’s bedroom for in Roomy Room Re-Do game! Choose from the available lightings, furniture, and decorations! Or play Miley and Lilly’s Designer Dreams and exercise your fashion skills. Experiment with styles, colors, and accessories! However, bedrooms and party venues are not the only places where you can unleash your imagination. Sasha, Jade, Yasmin, and Cloe have a special surprise in store just for you. You must remember the Bratz Fish Tank game. You get to decorate and set up your very own aquarium, and even breed fish! Shopping is always an adventure! All women know that shopping can become a thrilling adventure at times! Well, you are about to find out that even some beloved characters go through serious challenges at the mall! Remember the fearless crime-fighter with fiery red hair and a big attitude? 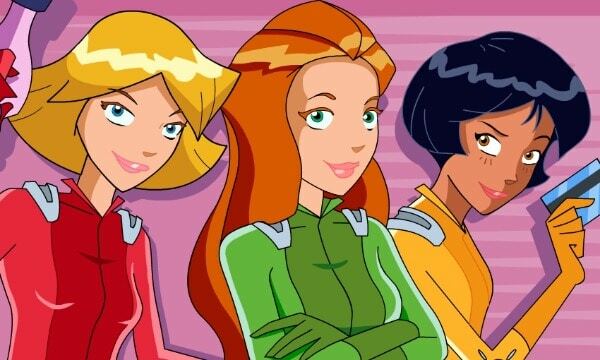 That’s right, I am talking about Kim Possible! 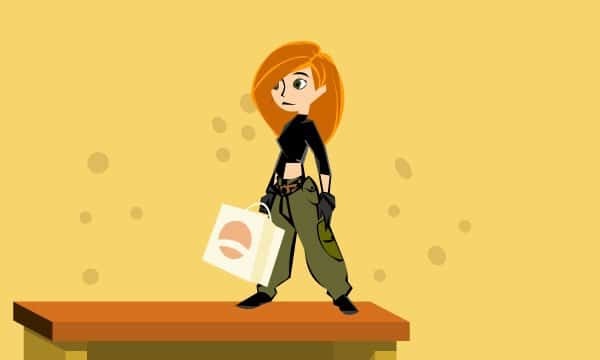 Go back in time and help her fight Drakken and Shego in the Shopping Avenger game. You might find that even the toughest girls sometimes need a little help to get ready! You might also enjoy the company of some other lovely ladies! Sam, Clover, and Alex are fighting out of control prices with the help of their trusty gadgets in the Totally Spies Mall Brawl! You will undoubtedly remember the special weapons they use, such as the Exploding Lipstick or the Butterfly Barrette Bomb? You get the chance to use them once again and join this iconic trio in their mission once more. If you enjoy the retro vibes, you will surely get a thrill out of other old Disney Channel games that are still available online! Travel back in time with all these nostalgic games! Over time, everybody changes, even our favorite characters. For example, Miley Cyrus is now a renowned celebrity and popstar. 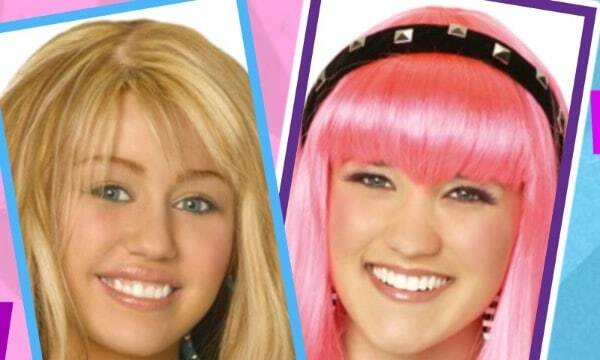 However, there was a time when she was playing the part of an undercover pop star in the Hannah Montana series. At the time, she started a whole phenomenon and became an icon for young girls. Does your memory need a little refreshment? Just give some classic games a try, such as Jammin’ with Hannah! You will surely find yourself smiling and singing along! Times have surely changed, and our priorities as people have evolved as well. Admittedly, it might seem like we have outgrown the days of dress up games and online makeovers. However, there are moments in our lives when we need to get back to a much simpler and happier period – our childhood. Isn’t it great that these nostalgic games for girls are just one click away?